The Hacienda is located off East Coast Road, in the heart of Siglap. 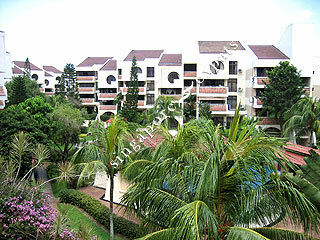 It is near the East Coast beach and seafood restaurants, Bedok Central, Changi Airport and Parkway Parade Shopping Centre. Perfect for a family or a couple. Very well lit with natural light and ventilation. Swimming pool and garden view. Condo comes with gym, basketball, squash, BBQ and other facilities. Next to 24x7 fairprice and cold storage and lots of restaurants right next to the house. Walking distance to the ECP. Very friendly atmosphere with majority expats. Children friendly. It's a bright and peaceful condo. Away from chaos and noise of the city centre, but close to everything you need. A perfect nestle where to live your life.